Our favorite chocolate sheet cake recipe. It’s simple, moist, delicious and serves a lot making it our go-to party dessert – perfect with ice cream. I think it’s pretty hard NOT to like cake. It’s just so good… and today’s recipe is probably the dessert that I consider the most addicting of any I’ve ever made before. It’s true – this Texas Chocolate Sheet Cake is the BEST EVER, and it’s easy (Also be sure to check out our White Sheet Cake recipe). If you don’t believe me, just try it. I promise it will not disappoint. We got the recipe from a family friend years ago, and it quickly became a favorite. This particular cake makes a lot, so it’s become a staple for get togethers and birthday parties (it’s big where the word Texas comes in). 😉 We change out the sprinkles based on the occasion and usually serve it with different kinds of ice cream. Blue Bell ice cream is our favorite to serve with this cake, but this dessert is great on it’s own as well. If I’m going to be honest, I can’t have this cake laying around at my house, because I will literally eat the whole pan. It’s just so soft, so flavorful and SO addicting!! Although this cake is made in a jelly-roll pan and is made with classic pantry ingredients, we omit the pecans which are classic in a Texas Sheet Cake recipe. Can you add the pecans if you like them? Of course!! We just have so many kids in the family that sprinkles tend to get a better response than the nuts. But as I mentioned, we tend to have all these ingredients on hand which means we make this all the time! 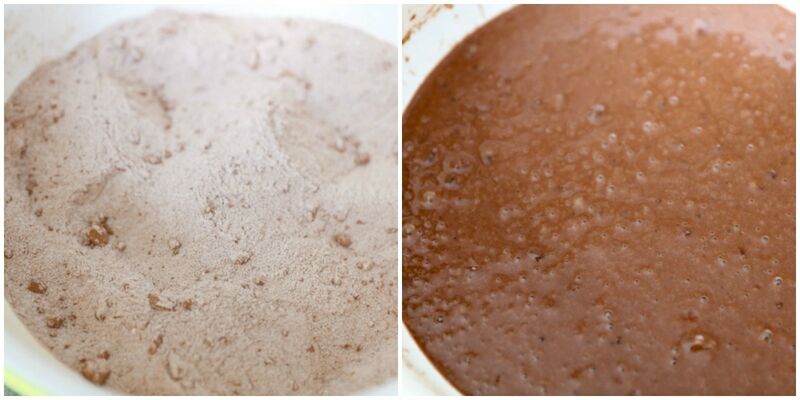 To make this cake, mix the flour, sugar, Hershey’s baking cocoa, baking soda, and salt together. Add eggs, oil, buttermilk and hot water and mix all together. Pour this into a greased jelly roll pan or an 11×14 baking pan. Bake at 350 for 20-25 minutes. While cake is still warm, make frosting by combining butter, cocoa, milk, vanilla and powdered sugar in a small pot. Heat and whisk until butter is melted and there are no more clumps. 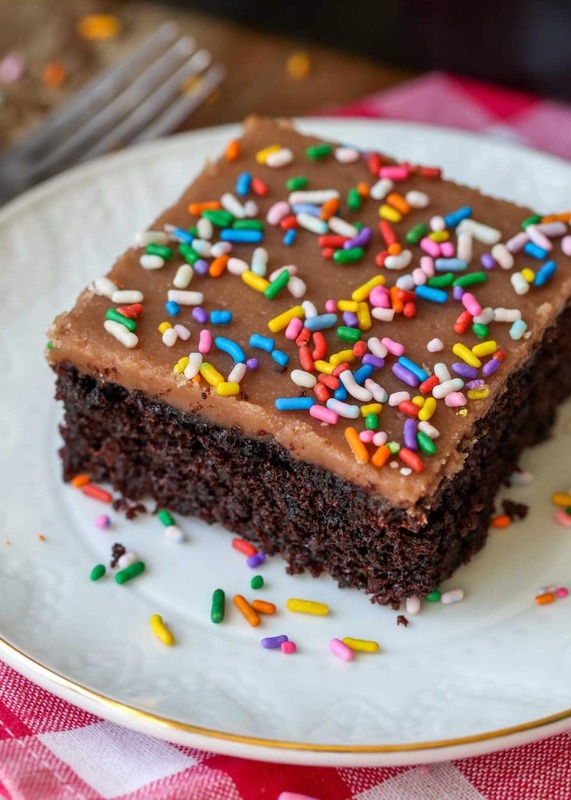 Pour over the warm cake and top with sprinkles right away before the frosting sets. This recipe calls for buttermilk, but that is the one ingredient that many don’t always have on hand. Although there really isn’t anything that tastes JUST like buttermilk, there are plenty of buttermilk substitutes than you can use in a recipe. Add 1 tablespoon white vinegar or lemon juice to a measuring cup, and add enough milk until it measures 1 cup. Stir, and let sit for five minutes before using. Whisk a bit of milk or water into plain, unsweetened yogurt until you get a buttermilk-like consistency (generally around 1/4 liquid with 3/4 cup yogurt). Whisk together equal parts sour cream and water. This hack is particular good in Pancakes. Even though this cake may be the demise of any diet or healthy eating I’m trying to accomplish, it’s also my cheat treat! I really don’t think you can find a cake that is more soft or scrumptious! 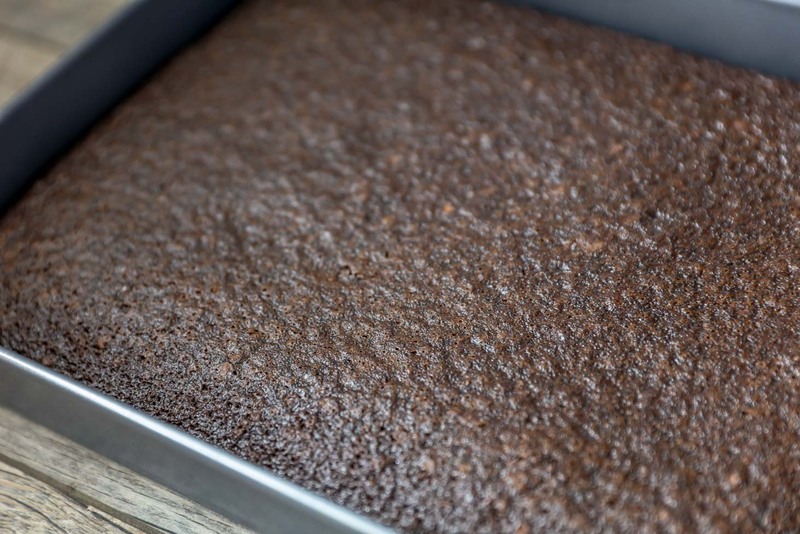 How to store sheet cake? If properly stored, which means tightly covered or in an air-tight container, sheet cake can last on the counter for up to 3 days. Place in the fridge and it should last for up to 1 week. You can freeze sheet cake, but we recommend not frosting it. Wrap the cake with aluminum foil making sure none of the cake is exposed. Be sure to roll the foil seam slowly and press all the ends together to preserve its freshness, then place in the freezer for up to 2 months. We love having friends and family over and typically turn to our sheet cakes to feed so many people. This is definitely one of our favorites, but be sure to check out the rest of the sheet cakes found on the site. They’re all delicious and feed a crowd. 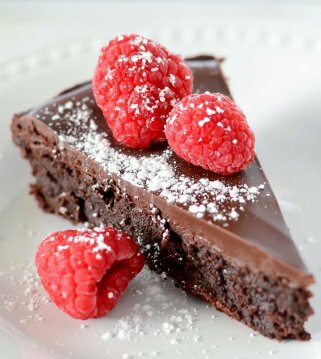 For all my gluten-free friends, be sure to check out this Flourless Chocolate Cake. Our favorite chocolate sheet cake recipe. It's simple, moist, delicious and serves a lot making it our go-to party dessert - perfect with ice cream. Add eggs, oil, buttermilk, hot water. Mix all together and pour into jelly roll pan. Bake at 350-375 degrees for 20 minutes. 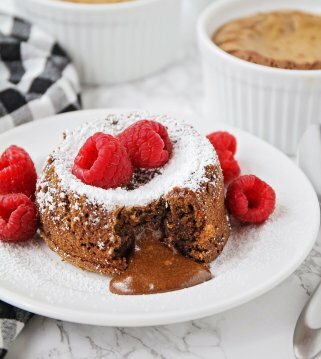 Cook in pan - Melt 1 cube butter, 4-6 teaspoons of cocoa, 4-6 tablespoons of milk, 1 tsp. vanilla and 3½ cups (1 box) of powdered sugar. Mix and spread over warm cake. YUM! That cake does look de-LISH! I am going to try that this week. Thanks! I love your site! I am gonna make that cake tonight! YUMMAY! my mouth is watering! That cake looks seriously amazing. I have a major sweet tooth and will be baking it soon! I love your blog so much! yesterday was my birthday and I am going to make myself that cake today! Thanks! Thanks again for this. I keep coming back to your site for this recipe. How much butter is a “cube” for the frosting? Thanks! Just wondering if 3 tsps baking soda is a lot in ratio 2 cups of flour? 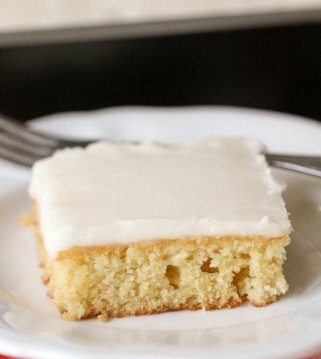 the white chocolate sheet cake sounds yummie! can you use buttermilk to make this cake? How many cups is a box of powdered sugar? They don’t sell “boxes of powdered sugar” in my area of Canada and I want to get the correct consistency. I made this cake the other day, and I must say it was REALLY GOOD. It was soft and tasty. Will make it again. Thanks. 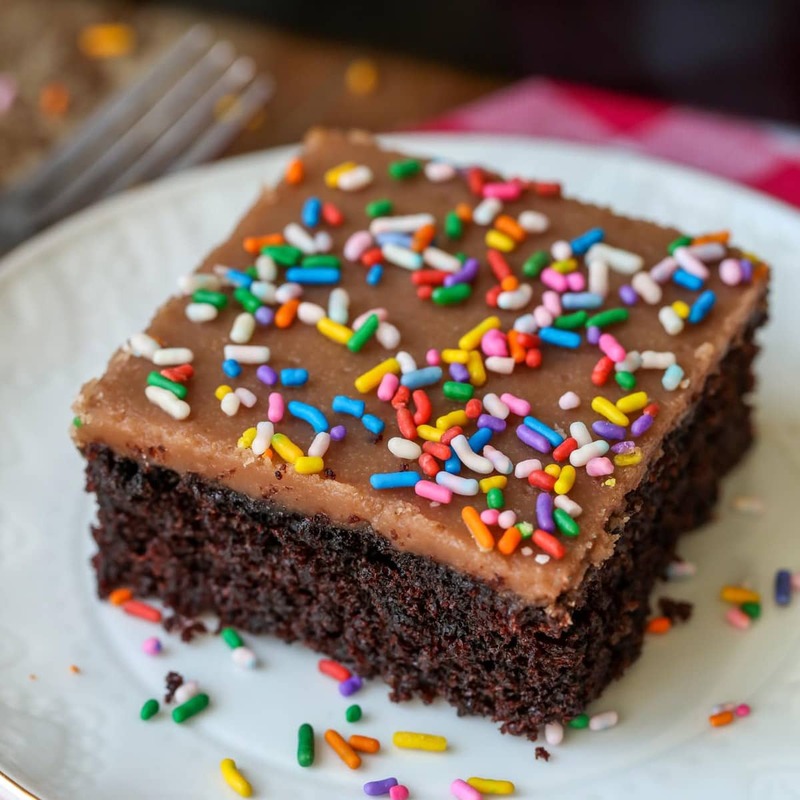 On the chocolate sheet cake recipe…..I was reading how to make the icing. What is one “cube” of butter? Is that a stick (1/2 cup)? If I’m making two half sheet cakes, can I still use this recipe and divide the batter in half? 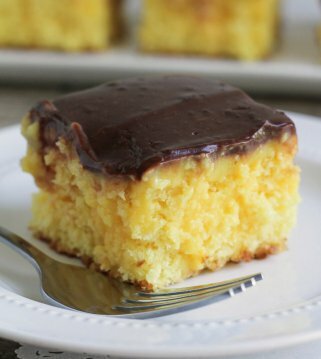 I’m making two half ones for a party and would love to use this recipe! Does this cake/icing require refrigeration? Yummy by the way, thank you for this gem!! Hi can you tell me what one cube of butter means in the chocolate sheet cake recipe? One cube is 1/2 cup 🙂 Enjoy!! How much is 1 “cube” of butter in the recipe for the Texas sheet cake? The frosting calls for a cube of butter; is that a stick of butter? Hey there! I need a little help. In the recipe it calls for 1 cube of butter. How much is that translated to tablespoons? Such an easy recipe to make, so excited about how well it Turned out?? I am glad to hear that!! It’s one of my favs! Thank you! How far in advance can this cake be made? looks great! thanks. I would personally just make it, no more than a day in advanced. This is really so good..I hope you try it! great, thanks. going to make it tomorrow. i am worried about it sticking to the pan, do you grease it? I usually will grease it a little 🙂 Enjoy! made it. was fantastic for my daughter’s 5th bday. thanks so much for answering my questions! I love this cake!! It makes plenty to feed a crowd & everyone always loves it! It is super moist! I made this cake today and it was delicious !!!!!! Thank you for trying it! I am glad you like it! 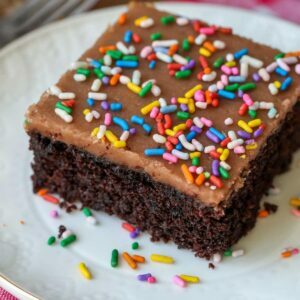 My most favorite chocolate cake recipe! You cant beat the moistness and chocolatey goodness of this cake. Everyone in my family loves this cake. We love texas sheet cake. to make everyone happy, we do half the cake with nuts and half without. 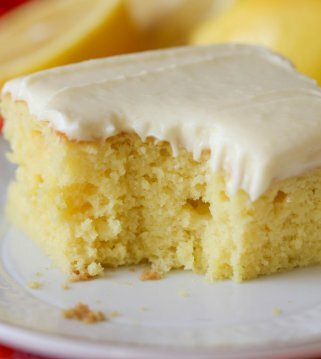 this is such a delicious moist cake an EVERYONE loves it! That is a good question?? I haven’t tried before. Since, it’s half the size, you probably don’t need to double it. I have 6 siblings all who live within 10 miles of each other and Sunday dinners can be quite the production. 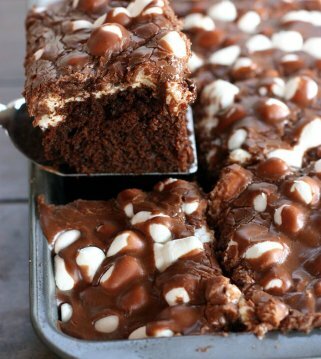 I LOVE THIS CHOCOLATE SHEET CAKE Because not onLy Is it easy to maKe and feeds everyone its also yummy!!! I love Chocolate Cake. This looks so delicious and the recipe is wonderful. I will try it for sure. Thanks.